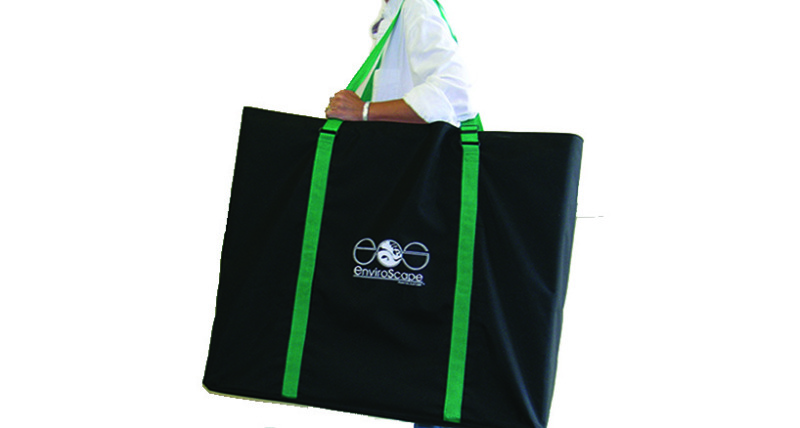 For quick trips, put your EnviroScape® model in the bag & go! For quick trips, put your EnviroScape® model in the bag & go! Made from strong black polyester, with adjustable handles and inside pockets. Bag is not padded. Size: 33.5" x 28" x 10". We still recommend our Carrying Case for prolonged protection of your model, but the Shoulder Bag is another alternative for those quick trips around town.